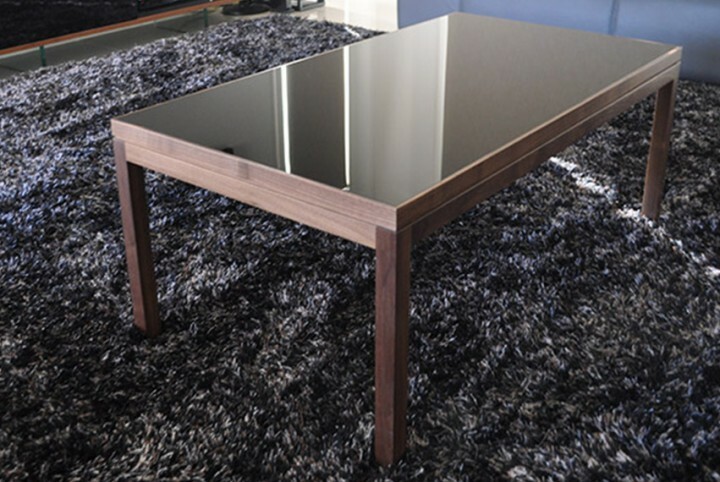 Sleek and slim design coupled with a pixel-effect laminate front make a unique statement. 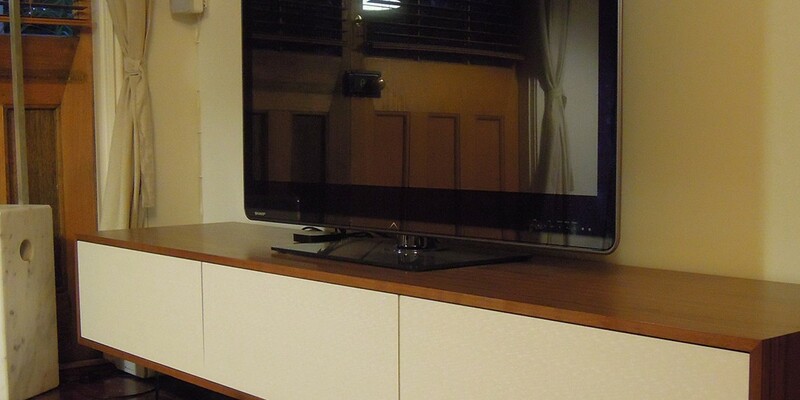 This entertainment unit is a very popular piece, its design not in its third iteration. Shown here with three panels, but it has also been made with four. 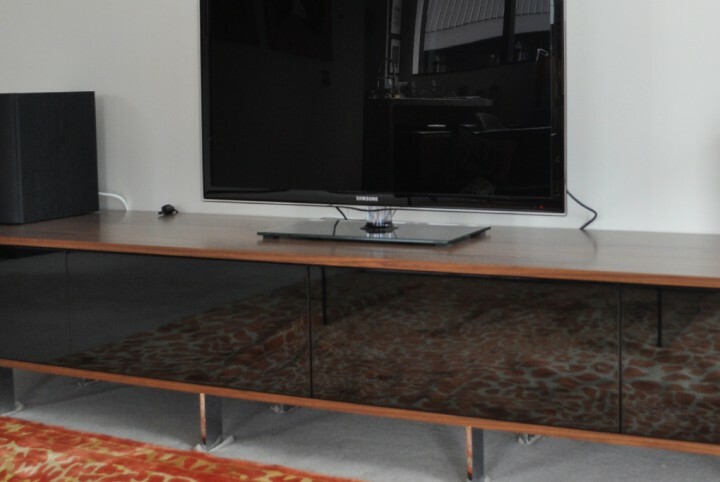 It’s popularity is due to the beautiful walnut timber complimented by wide 19mm glass fins that create a ‘floating’ effect. 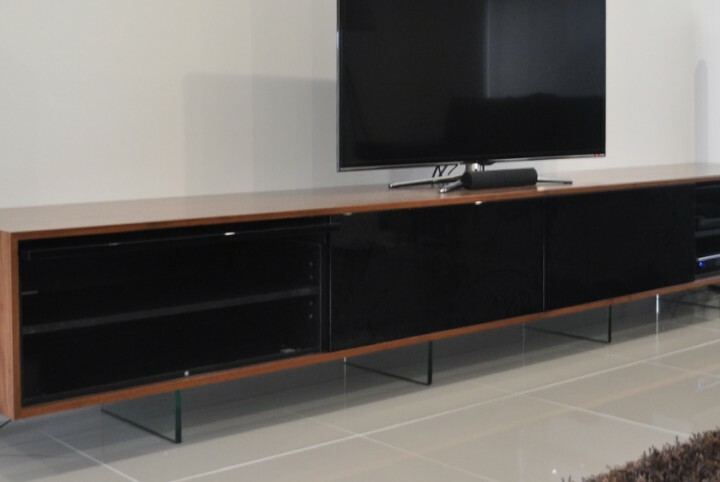 Also of note is a unique retro reference – a subtle pixelated laminate on the front panels, which is a different option from a standard paint finish. 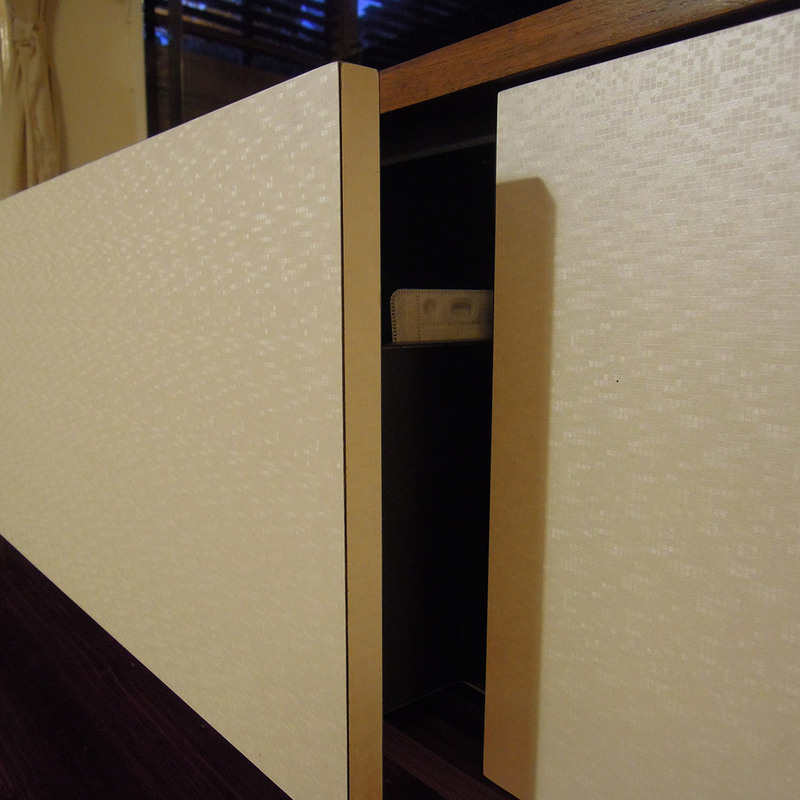 Naturally, the solution also features push-to-open drawer touch-mechanisms with flip-back doors. The design is free of handles that would otherwise interrupt the clean lines. 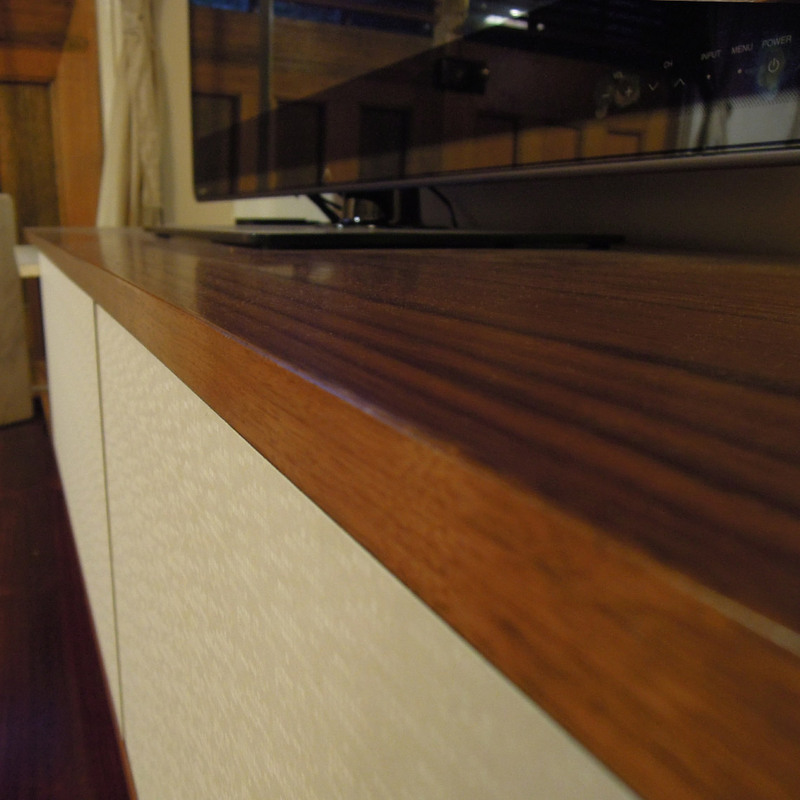 Air ventilation for the hifi equipment is hidden at the rear. 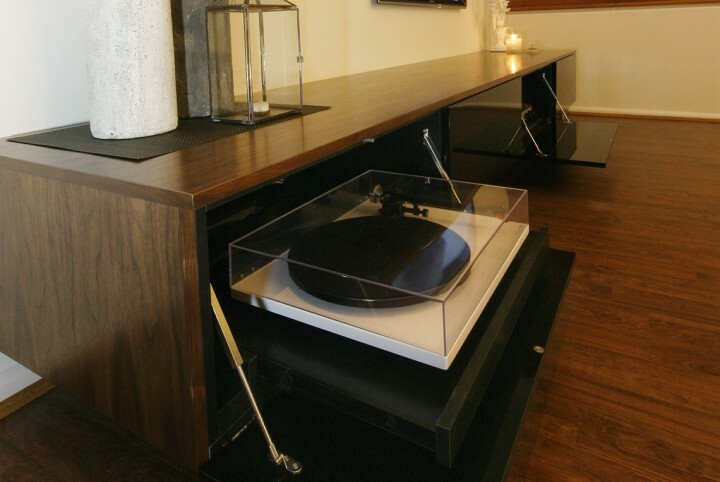 Access to cables and wires are also cleverly concealed behind the unit.